Join us December 1 for our Fall Distinguished Lecture with renowned technologist and former Chief Technologist for the Federal Trade Commission, Professor Latanya Sweeney. As a professor at Harvard University, Latanya Sweeney creates and uses technology to assess and solve societal, political and governance problems, and teaches others how to do the same. One focus area is the scientific study of technology’s impact on humankind, and she is the Editor-in-Chief of the newly formed journal Technology Science. She was formerly the Chief Technology Officer at the Federal Trade Commission, an elected fellow of the American College of Medical Informatics, with almost 100 academic publications, 3 patents, explicit citations in 2 government regulations, and founded 3 company spin-offs. She has received numerous professional and academic awards, and testified before federal and international government bodies. 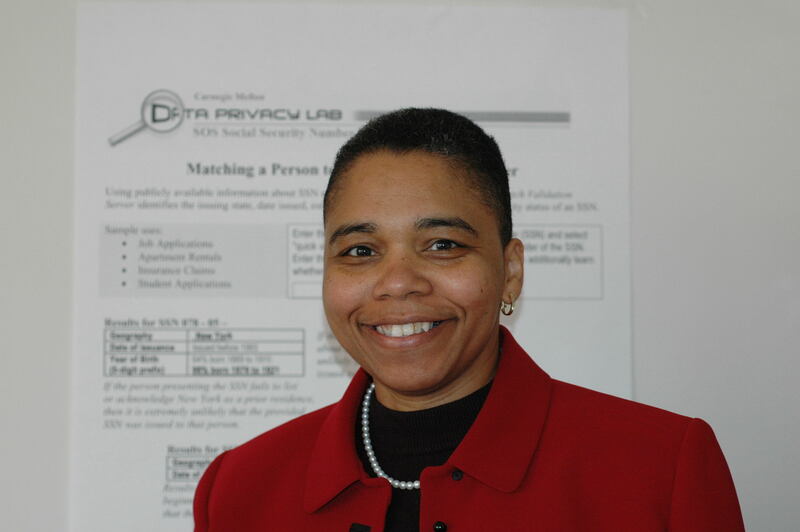 Professor Sweeney earned her PhD in computer science from the Massachusetts Institute of Technology, being the first black woman to do so. Her undergraduate degree in computer science was completed at Harvard University. http://www.latanyasweeney.org.